The lovely Roz found this 1913 publication The Metropolitan Automobile Guide at the Long Island Antiquarian Book & Paper Fair in Brookville on Saturday. 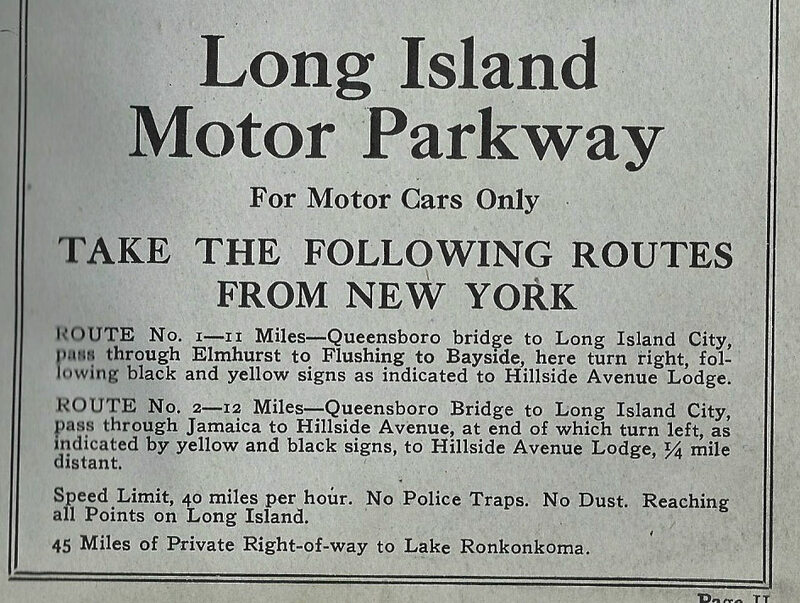 It provides several insights on the Long Island Motor Parkway. 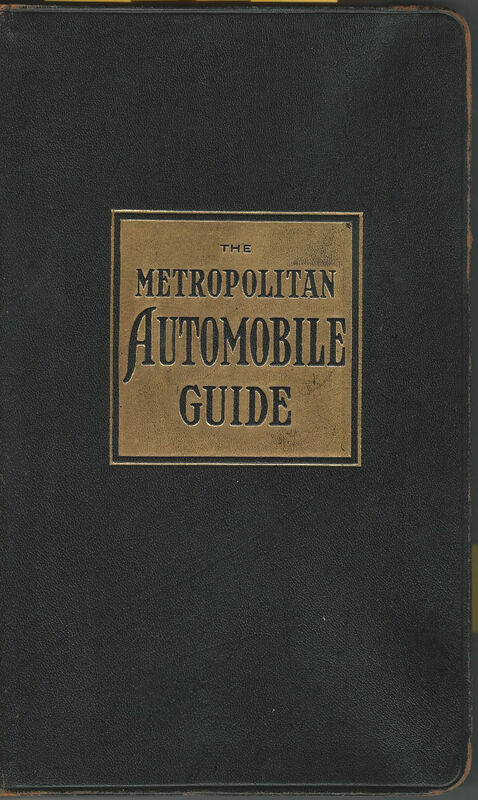 If you were planning an automobile tour around New York City in 1913, you likely had a copy of The Metropolitan Automobile Guide. 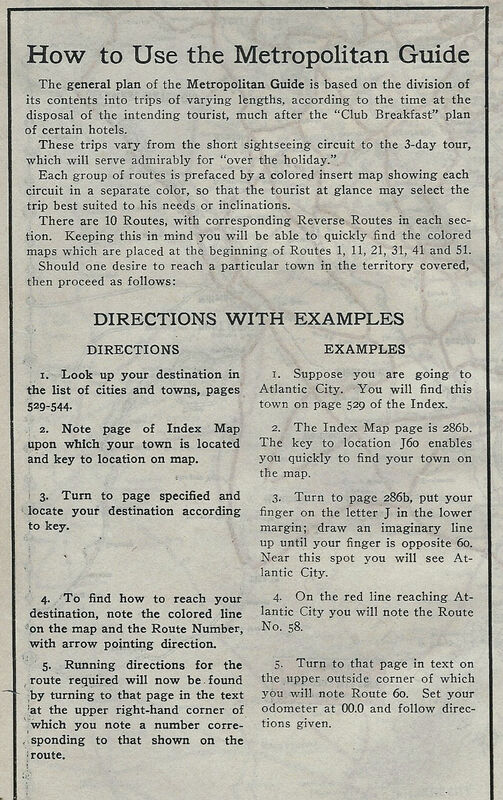 The Guide suggested long and short automobile trips with recommendations for routes, hotels and sight-seeing locations. 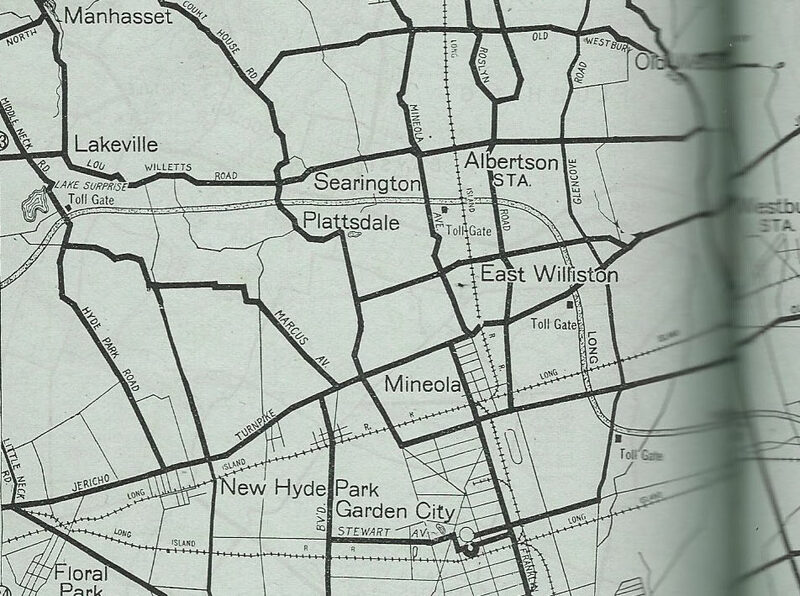 This map issued by the Long Island Motor Parkway was glued to the inside cover. 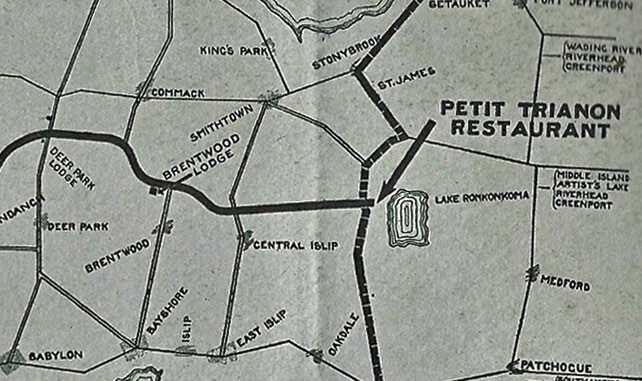 The other arrow pointed to the Petit Trianon at the eastern terminus of the Motor Parkway in Lake Ronkonkoma. 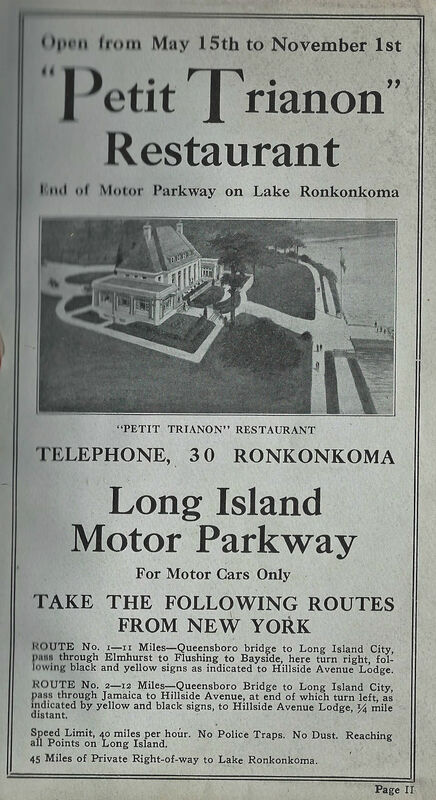 Opposite the Long Island Motor Parkway map, this was the ad for the "Petit Trianon" Restaurant, Open from May 15th to November 1st. 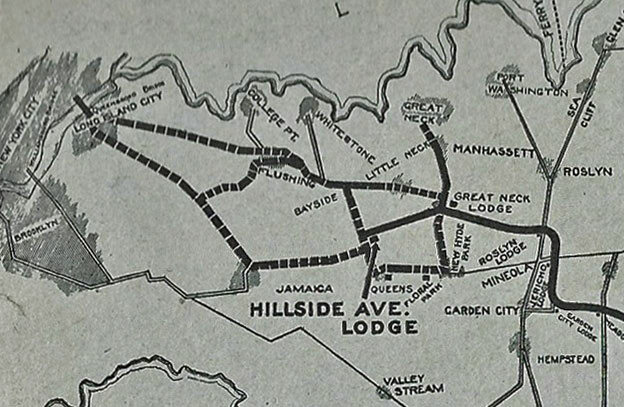 The route to the Motor Parkway was described. -Speed limit 40 miles per hour. 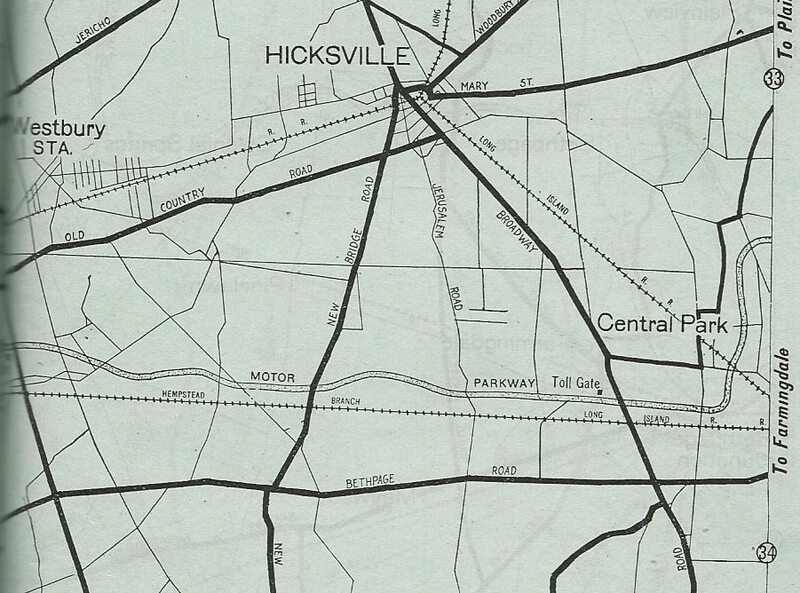 Queens from the 1913 western terminus at Rocky Hill Road. Lake Success to Garden City. Nice catch Roz. This one is a first for me and most likely not published anywhere. These things are extremely rare to come by and you were at the right place at the right time! Very nice. Check out Old Courthouse Rd extending to the north. I was unable to connect it to anywhere. 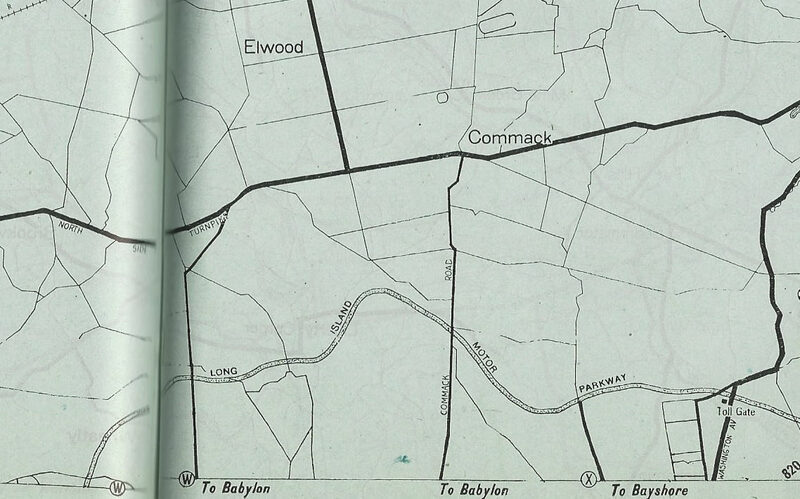 Is East Shore Rd its continuous route? Very good find. 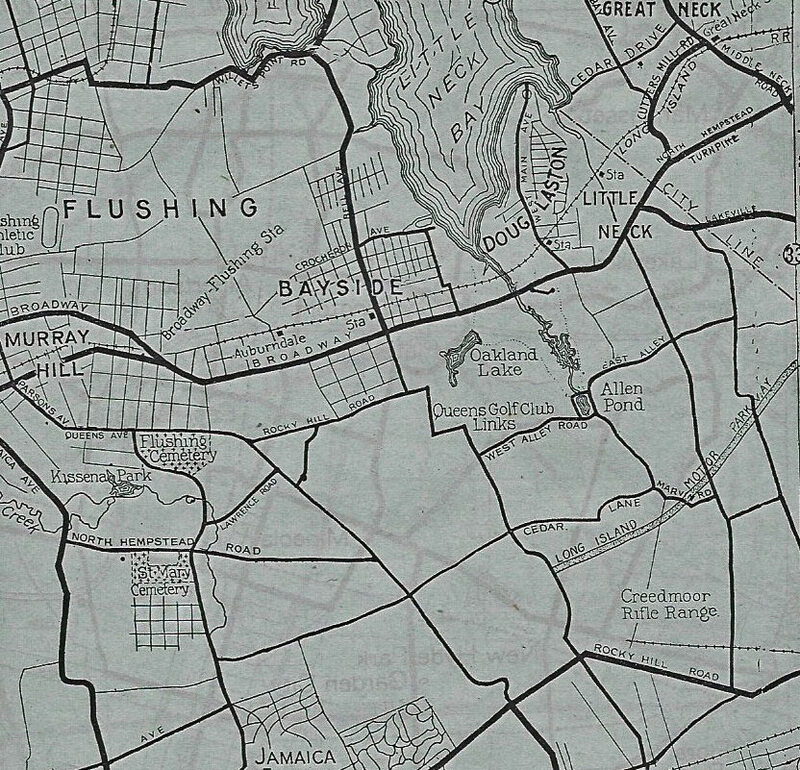 The map portraying Bethpage and Colonial Springs exhibit LIRR spurs extending to the LIMP northwards in 2 areas. 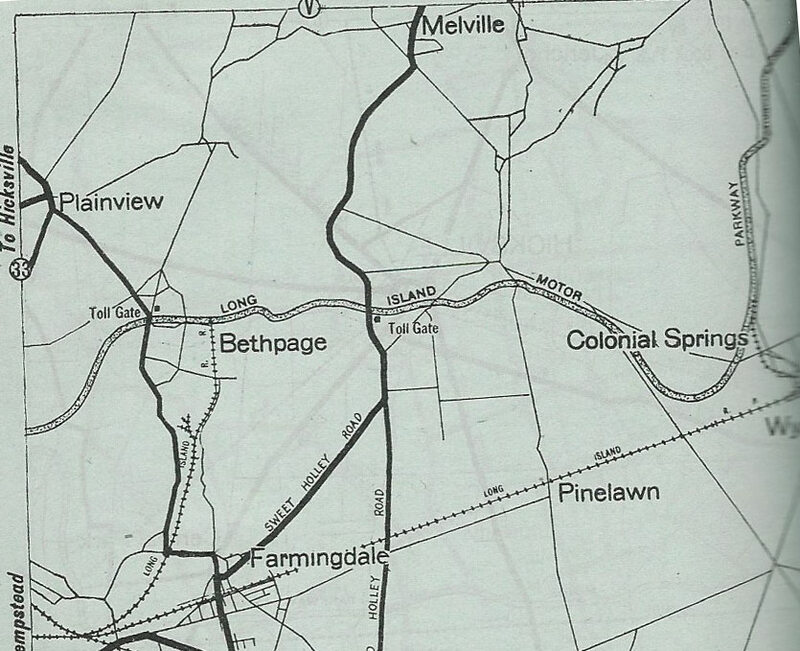 I know spurs existed in Bethpage and Colonial Springs for the transportation of bricks. The spurs impacting the LIMP is what I’m not so sure of. My Google search revealed: “itdoesn’t really have a meaning, it is an actual name, though in either French or Spanish, “Trianon” suggests a special place with pleasant surroundings, beauty and balance”. Seems a suitable location after a strenuous motor trip and before returning to the City.